People who are passionate about the Holy Scriptures are interested in the deep meaning that is found in the Bible's texts, land, people, language, and culture. 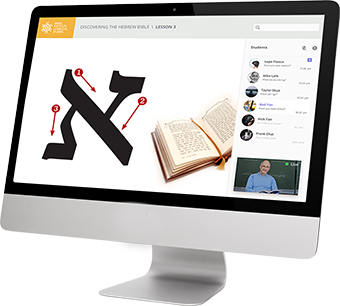 In the Israel Institute of Biblical studies, you will find online courses and educational programs that covers the full spectrum of biblical knowledge taught by the world's top scholars and experts in the studies of the New and Old Testament. Our supportive and social learning environment ensures that students are academically challenged through the in-depth study of the Bible. "I enjoy the multinational classrooms with Hebrew speaking teacher & his great sense of humour. Very skilled teaching"